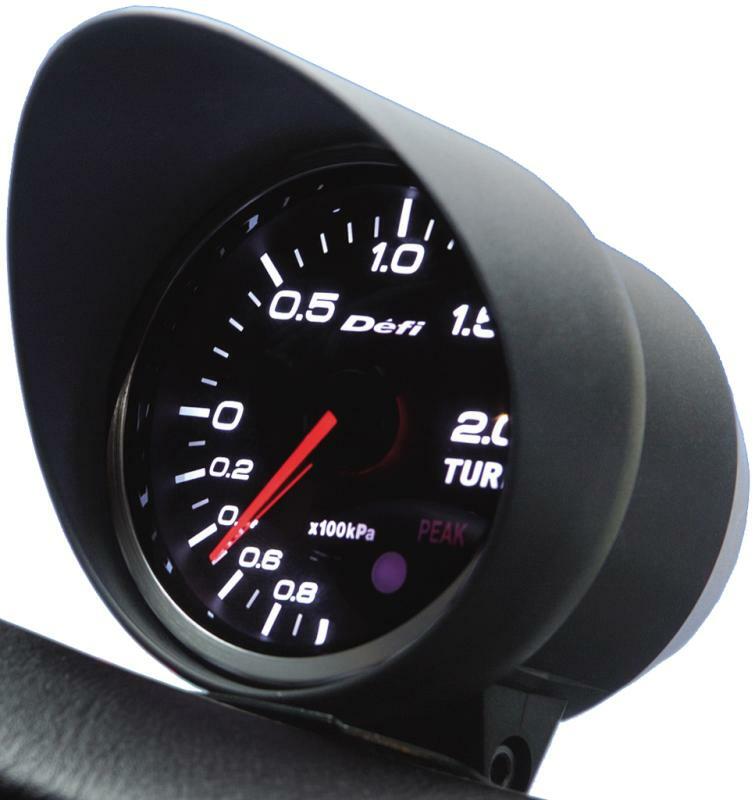 Choose from many exciting solution for your Defi Gauges. The Triple Meter Hood allows Defi-Link Meters and Defi-Link Meter BFs to be mounted on Subaru New Age Impreza. The Defi-Link Single Meter Visor is for removing the virtual image of gauges (glare) reflected on the windshield. It is for only 2 3/8”(60mm) diameter gauges. Defi-Link Fitting Kit is to mount a gauge on an A-pillar or a steering column. This product is for 2 1/16”(52mm), 2 3/8”(60mm), and 3 1/8”(80mm) gauges.